Welcome to micronetics, your reliable distributor since 1979. Our broad product portfolio consisting of state-of-the-art electronic components and systems is completely covering the requirements of your purchasing and developing department. Our modern logistic service is tailored to your individual necessities. Trust in micronetics®, your pan-European distributor of electronic components! Active quality management at micronetics is not only available on paper. It is consequently applied within the daily business processes and guarantees highest level of quality standards. Due to our certification according to DIN EN ISO 9001:2015, the implementation and application of a quality management system had been confirmed, which complies with the requirements and standards of this international norm. Our quality assurance manager Mr. Hoernlen takes care that the respective standards are continuously applied. Transistors, optocoupler, diodes, rectifiers, LED and more. Capacitors, resistances, sensors, fuses, trimmers and more. Cable systems, 3M-cables, plug-in connectors, charging plug-in connectors, cable connectors, clamps and more. As components distributor of leading manufacturers we cover a wide, always on the newest level of the technology sorted product spectrum for the need of your purchase and your development of electronic components and systems. We prove our achievement strength with an offer of approx. 40,000 articles and constant readiness of delivery of 18,000 articles in our 2,000 qm storage with the most modern logistics. Our product assortment guarantees for our customers not only high-class quality, but always up to date technology. All our sales employees and product managers are continuously trained by our manufacturers and are able to provide our customers with high level support concerning new technologies and their usage in the field. 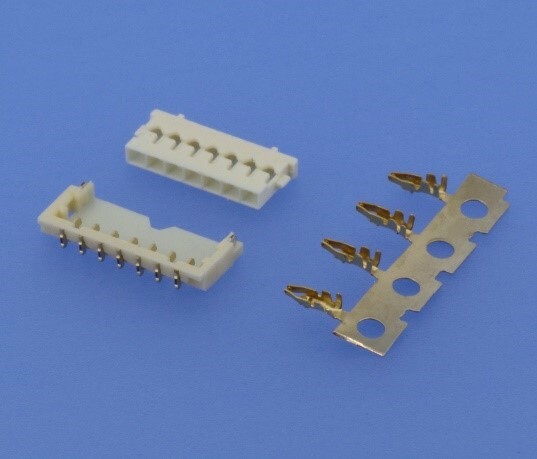 The expanded spectrum includes a broad range of wire-to-board connection solutions as crimp versions for most applications. 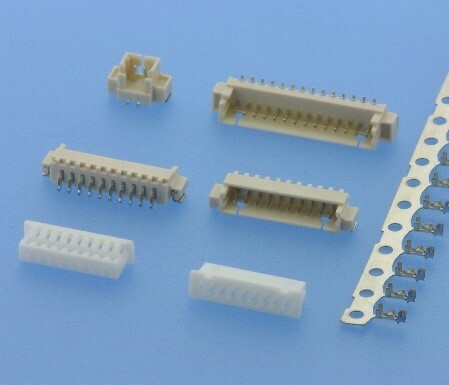 This includes pin and female headers, pin and female housings and contacts and they are on offer as THT or SMT variants.